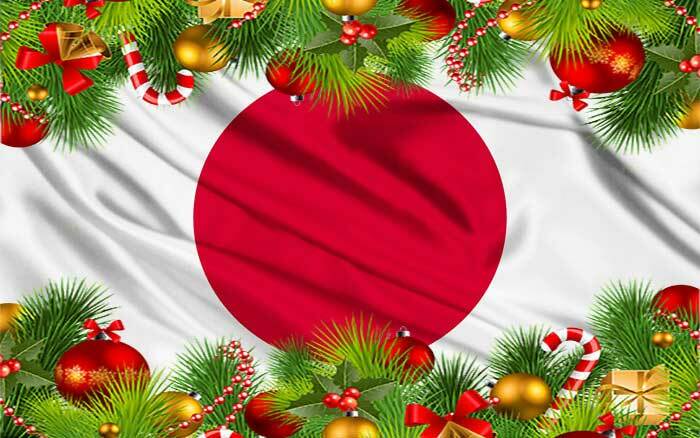 What’s Christmas and New Year’s Eve to the Japanese? As another year goes by, people residing in Japan are once again faced with the two largest annual events – Christmas and New Year — which are celebrated in an entirely different way by the average Japanese family. This article will discuss how the Japanese view Christmas and New Year, as well as the traditions they usually follow during these holidays. In Japan, Christmas is the season for friends and couples to enjoy parties, make plans to meet up for dinner, and celebrate as much as they can. On the other hand, New Year is the time when all members of the family gather together, visit the temple, and welcome the first day of January with food and drinks. The third largest economy in the world, Japan, is a fascinating country rich in history and culture. It leads in the development of cutting edge of technology while honoring its traditions. Japan continues to be the high-tech powerhouse economy of Asia, with a gross domestic product (GDP) 1.5 the size of the UK and per capita GDP 6 times that of China. In its economic growth reading released in 2014, Japan’s GDP grew at an annualized rate of 6.7 percent for the January-March quarter, the sixth consecutive quarterly increase. This data means that Japan continues to expand and grow in a number of impressive statistics – which includes that the economy of Tokyo is greater than that of all Russia, while the Chubu region of central Japan is worth more than the GDP of South Korea. Due to Japan’s flourishing industries in beauty and technology, as well as many prioritizing their careers over family life, the average Japanese consumer has more discretionary income than their European counterparts. Japan makes an ideal market for foreign brands on account of their open-minded youth culture and curiosity for the West. Every culture has specific habits and behaviors that marketers need to become aware of. Japan is known for having a culture that epitomizes etiquette and respect. How can foreign brands uphold these values in order to sell effectively? This article will explore the profile of Japanese consumers, as well as provide tips, insights, and methods in order to win their hearts and gain their trust. With a total of over 28 million international visitors in 2017, Japan is an extremely popular destination. A lot of people flock to Japan, be it for leisure or business. A combination of ancient culture and dazzling modernity, this nation truly charms the hearts of travelers from all over the world. Successfully catching the consumer’s attention in today’s digital world is no easy job. A solution to this problem is programmatic advertising. Programmatic ad buying has been a game changer in online advertising and can help you in this daunting task. Programmatic advertising is the use of software and algorithms to purchase digital display space. As new digital technology is being introduced and embraced by the customers, the rules of brand engagement are changing. Video Marketing in Japan is not something new, but the way it has been advertised is. In recent years, video has shown great success at engaging users to a brand. The millennial era has left us with many lessons. One of them is the continuous preference users have for all visual contents when transmitting a brand message, especially when doing it through social media. If you are a brand that is trying to succeed in the digital world, you cannot overlook the importance of using video in your strategies. Look at the numbers below to get the importance of video marketing. You might not be new to the concept of Content Marketing but you are probably unfamiliar with what Content Marketing in Japan is like. 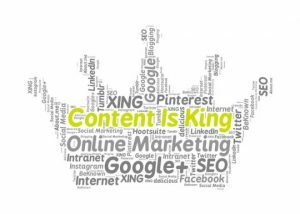 Great content is the key to your business and website`s success.